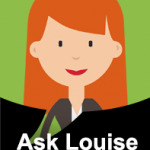 Hi Louise, I have to get my tenancy contract attested. Could you tell me where and whether someone can go on my behalf? The tenancy contract needs to be attested by the Land Department (RERA) and Move One can assist and complete attestation of the contract on behalf of yourself. Please contact our immigration team for more information.